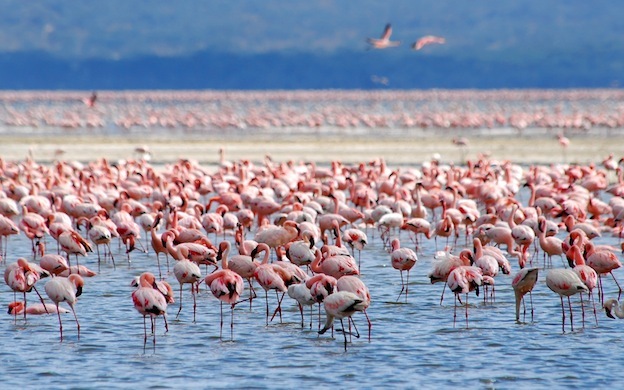 Flamingos are very social animals which is why you will find them living in large groups. These groups are referred to as colonies that can have from 50 to thousands members in them. With these larger groups you will find that many subgroups are formed within them. In a zoo setting or other type of captivity, they generally don’t have much of them. Many have a lesser scale of about 25 because they simply can’t justify the space or the cost of maintaining larger colonies than that. They also want to allocate for the offspring that will be coming along in the decades ahead from these Flamingos. They don’t want the area overpopulated as that presents a variety of problems for them. You may notice several different species of Flamingos in captivity in the same area. They seem to do very well socially with their own species and others. This is very different from the instinctive behaviors of many other animals out there. In the wild they tend to remain separated due to the style of their bill and the affect it has on the types of food they can consume. There are quite a few ways that Flamingos interact with non verbal cues. It is fun to watch such behaviors take place in these colonies. Head flagging is a process of stretching their necks far back, raising it up, and then turning it from one side to the next. The wing salute is a form of friendly interaction among them. This is also the best opportunity you will get to see their magnificent colors of feathers. The twist preen is often seen during courting when the males want to impress the females. This involves twisting the neck backwards and then using the bill to preen the feathers. This is done in a very rapid motion that often resembles pecking. 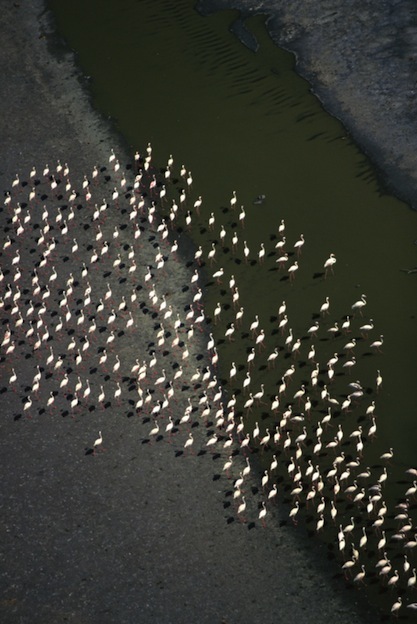 Marching is a common behavior that you will see large numbers of the Flamingos engaging in. They will march in one direction for a while and then quickly turn to go the other way. It is fascinating to watch it and to see the synchronicity that is often involved with their movements as well. What is so amazing about the social structure of the Flamingo is that they are often engaged in the same behaviors at the same time, including mating. Those that have observed Flamingos for a long time, patterns of these types of social behaviors start to emerge. They can tell you what movement will be going on based on the time of day that it is. When they aren’t involved in group activities, you will likely find a Flamingo to be either feeding or preening. They spend a great deal of time eating, with the majority of it being done after dark. They also spend up to 30% of the day preening their feathers. They have a gland that secretes oil and they will move it with their bill to their feathers during the preening process. They also spend time swimming to help keep their feathers clean. The young are able to recognize the sounds of its parents from a very early age. This is important for their communication to take place. They also listen to the other adults in the colony though since they tend to raise the offspring as a group instead of each one raising their own young. They have amazing senses too, especially their hearing. They can hear sounds from a very long distance. They can also pick up the frequency of their own offspring in extremely large colonies. They aren’t able to see as well as many other animals at night but they have vision that is better than humans at night and good enough for adequate flight and food foraging.